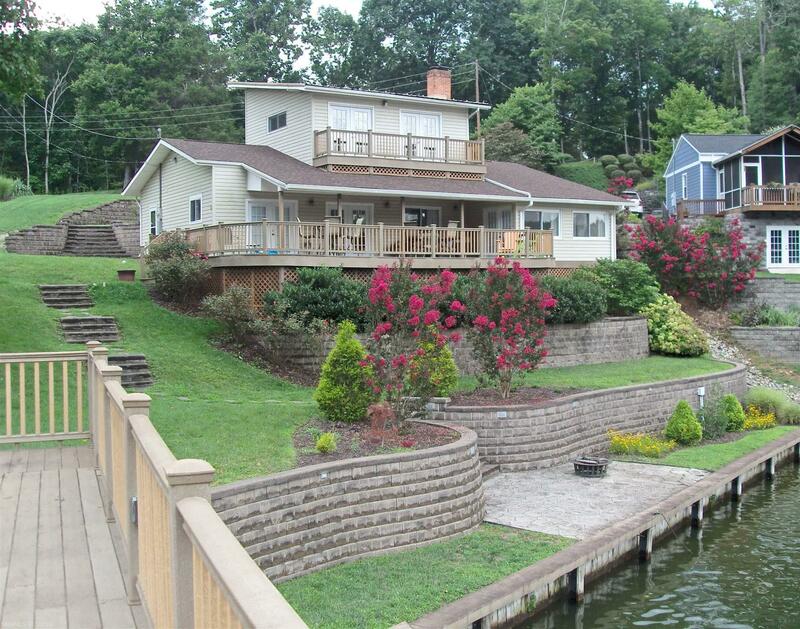 WOW, location, gorgeous water...remodeled and updated, this is a fabulous year-round or lake get-away home. The first floor, including the kitchen and baths, were completely remodeled 2 years ago and are all in top shape. Extensive landscaping, a large porch facing the lake, and a boat lift with deck on top all make this a wonderful playground and place for outdoor enjoyment. The views from all rooms are serene and lovely. Only 5 minutes from I-81, this home can sleep 10 but the rooms offer great flexibility. The master bedroom faces the lake and opens to the porch. The sitting room could also be a home office plus sitting/reading room with a full view of the lake. The great room and the master bedroom both have gas log masonry fireplaces. Every main floor room has doors opening onto a large covered porch and a huge deck facing the water. This home was designed for people who love natural beauty. Beautiful waterfront, quiet location...doesn&apos;t get any better on the lake. Directions: Dublin, Old Rt. 100 Toward Draper, Left On Hurston Which Turns Right At The Top Of The Hill At The Stop Sign, Follow Hurston To Right On Red Bud. Follow Red Bud To The "y" With Red Bud Veering To The Right And Bonnie Banks Straight. Follow Bonnie Banks To Cul De Sac And 3998 Is On The Left.